A wedding coordinator recently shared a screenshot of a conversation between a client and the client’s college friend. This went viral, with people calling the college friend out for ‘inviting’ himself to the wedding – and even inviting his girlfriend along, even if he wasn’t actually invited to the wedding! 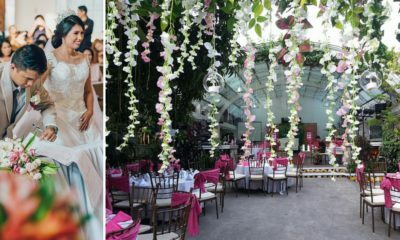 Project Vanity Events shared the screenshot on their Facebook page, along with advice for both ‘wedding guests’ and the couple. 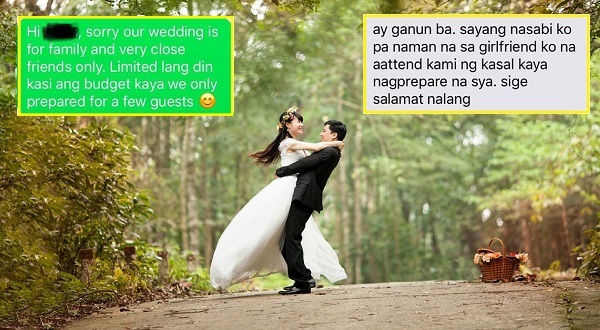 “Dear guests, please wait for the couple to personally invite you to their wedding and not voluntarily confirm your presence specially if hindi naman kayo talaga ganun ka close. This friend was identified later as the client’s college friend that the client had not even talked to for many years. The friend had learned about the wedding and assumed that he was invited; thus, he immediately told his girlfriend about it, before ‘confirming’ his attendance. The problem is that the couple were working on a limited budget and wanted an intimate wedding, with only close friends and family in attendance. They had no room for ‘old friends’ they hadn’t connected with for many years. 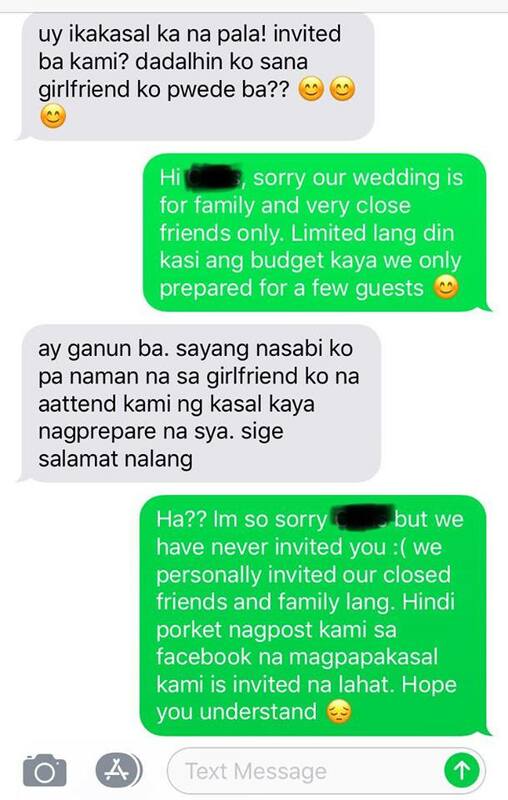 After learning that he wasn’t invited (and not allowed to bring a plus one, of course, since he’s not on the guest list), the guy sort of blames the couple that his girlfriend was already preparing for the wedding. He implied that she would surely be sad that they won’t be able to attend the event. 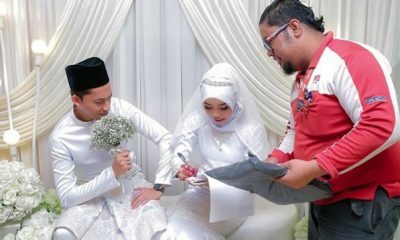 “Lesson to all couples, be strict on your guestlist. If hindi nyo personally kilala, ekis agad. This is your wedding. Kayo dapat ang masusunod para everybody happy. Dont be afraid to say NO. Mas ok na ang magdecline now than to have more worries later,” Project Vanity Events advised.